Picked up a few makeup items, while out shopping with my mom. 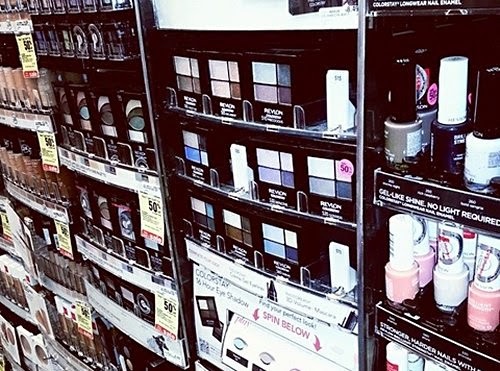 I usually don't buy drugstore, because it seems like every other lipstick has been tested and sampled by some random consumer. When I do buy makeup from the drugstore, I always carefully evaluate it to make sure the seal hasn't been tampered with and there are no indentations in the lipstick. The herps is something that I want to refrain from catching, at all costs. Score! 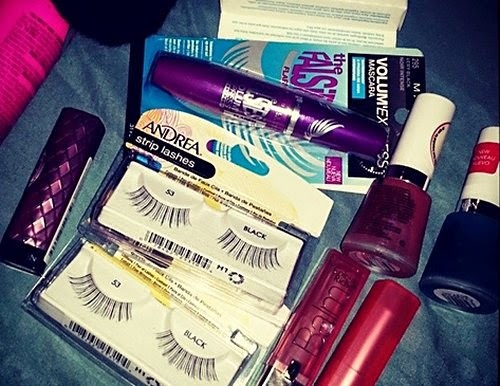 I ended up picking out some clear nail polish, hair product false lashes and some lipsticks.